Full Moon Bites: Author of the Week, June Ahern, Interview + Giveaway!! Author of the Week, June Ahern, Interview + Giveaway!! June Ahern, born in Glasgow Scotland and raised in San Francisco, is from a large family of Celtic storytellers. Her talent for storytelling is found in her debut novel, The Skye in June, about a Scottish family that emigrants to San Francisco in the 1950’s.. Ms. Ahern’s first published book, The Timeless Counselor: The Best Guide to a Successful Psychic Reading (originally titled A Professional Psychic Reading as Alternative Counseling, 1990) is ....More"
HP: Your novel The Timeless Counselor/A Complete Consumer's Guide to a Psychic Reading, came out in eBook format, January 6th 2011. Can you tell us a little bit about this novel and what inspired you to write it? 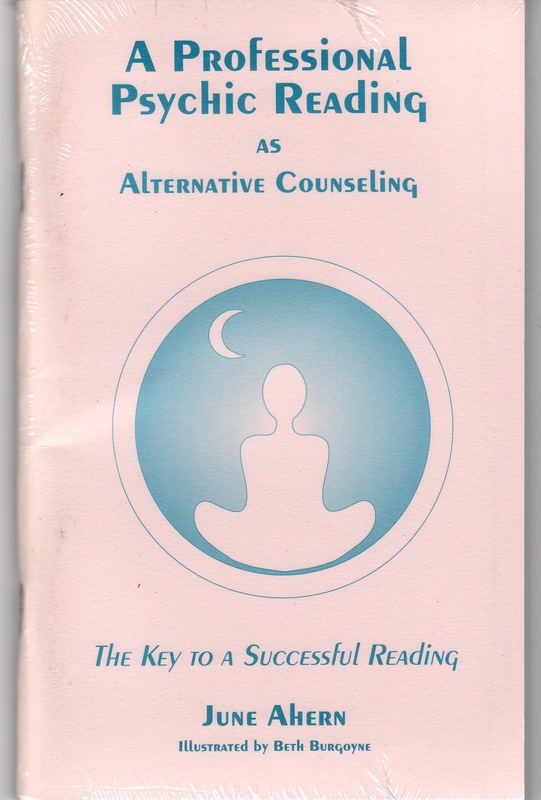 June Ahern: It actually was first printed in 1990 under a different title, A Professional Psychic Reading as Alternative Counseling and shortly after it came out in paperback (self-published on a dime), I thought of the now title. Now it is under a new title with a new cover and includes new chapter and also my ESP (fun) Quiz. A friend encouraged ....More"
June Ahern: I think of it more as a story set in an autobiographical framework. Originally I wrote it as a screenplay and did so to honor four of the six sisters who share my Wiccan practice. An author friend encouraged me to write a novel because screenplays are more attractive from a book. I asked, “How long will that take?” It took two and half years. A lot of real life of many I know are in this story. I did a lot of research and interviews to “hear” ....More"
June Ahern's has received overwhelming five star mentions for her novels on Goodreads, Amazon and Smashwords. June Ahern has offered to giveaway four copies of her novel and four copies of her how to book in either paperback (The Timeless Counselor is under old title with the 1990's cover) or eBook format; The Timeless Counselor: The Best Guide to a Successful Psychic Reading and The Skye in June. 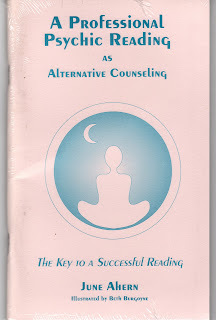 "The Timeless Counselor: The Best Guide to a Successful Psychic Reading is a complete consumer's guide to a psychic reading – the key to receiving the greatest benefits from a reader.You will learn that you can grow and heal spiritually, emotionally and physically from a reading as well as how to recognize and avoid unethical readers - choose one best suited for your needs and interests - how to prepare questions to get a more detailed answer from the reader - how to use the information attained successfully to fulfill your goals and much more. This book is also a wonderful source to learn about the psychic realm as you learn how psychics receive their information and then have the opportunity to learn about your own ESP through the author's ESP Quiz. Read this book before making an appointment with a psychic. It is the key to a successful psychic experience." 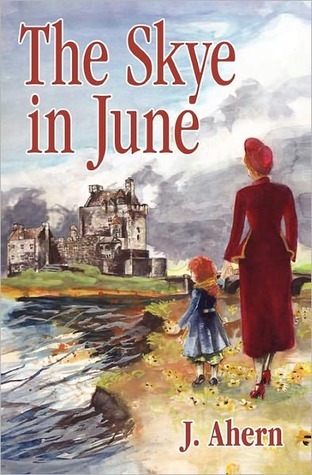 "June MacDonald’s fate is sealed the day she is born when her mother, Cathy, defies her husband Jimmy by giving their new daughter a pagan name instead of a Catholic saint’s, as is their tradition. The decision forever sets the MacDonald family on a course for disaster, and no one can foresee that June will grow up to threaten their strong religious beliefs. After a family tragedy the MacDonald family emigrates from Scotland to San Francisco, California, in the hopes of a new beginning. There, young June begins to have visions. They haunt Cathy, revealing her secret past in the Scottish Highlands. June’s religiously rigid and abusive father will not tolerate the visions. That doesn’t stop June’s feisty nature or curiosity about her psychic abilities and interest in witchcraft. The family is on the brink of imploding when June and her three sisters come of age in the 1960’s Haight Ashbury scene. Their father’s declaration seems to be coming true: “Doomed to hell, every last one of you.” In order to save June,"
The winner(s) will have 48 hours to contact back before another winner(s) will be chosen.